I don’t know why this has annoyed me so much, but a few days ago I found out that a well loved local pub "The Hobbit" that has been the meeting place for a whole generation of Southampton students and young pubgoers, has been threatened by a Hollywood production company, the Saul Zaentz Company. So I’ve done some research. For heavens sake. It’s been called The Hobbit for 20 years. It started about 1989, long before the film was a twinkle in Peter Jackson eye, and long before CGI existed. I sent the news out to a few friends, and liked a little Facebook protest page. but have been amazed that the news has been taken up first by the local newspaper, then local, national and international news and TV. and the page now has 35,000 likes. So obviously others share my anger. Even the Daily Mail has taken up the cause. Ok.. Maybe it sometimes gets things right. Apparently even Tolkien’s son had problems with Hollywood. In 2008 The Tolkien Trust, representing the interests of the family of Lord of the Rings author J.R. R. Tolkien threatened to sue New Line Cinema in Los Angeles for £75 million, claiming that the Trust has not received "even one penny" from the highly successful (£3 billion-earning) trilogy of Lord of the Ring films. The film studio is accused of "insatiable greed" and of engaging in the "infamous practice of creative ‘Hollywood accounting’". Presumably as a means of negotiating an amicable settlement, the Trust was reportedly threatening to block production of the long-awaited prequel, The Hobbit. The Tolkien Trust is hardly a money grabbing commercial enterprise. It has traditionally supported a wide spectrum of charitable causes and concerns throughout the world including: emergency and disaster relief, overseas aid and development, healthcare charities, environmental causes, education and the arts. In 2009 The Tolkien Trust (a UK registered charity), New Line Cinema, and HarperCollins Publishers Ltd.announced that they have resolved the lawsuit relating to the "Lord of the Rings" films. The precise terms of the settlement are confidential. Commenting on the settlement, Christopher Tolkien said: "The Trustees regret that legal action was necessary, but are glad that this dispute has been settled on satisfactory terms that will allow the Tolkien Trust properly to pursue its charitable objectives. 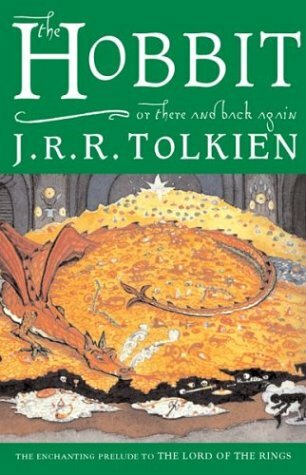 The Trustees acknowledge that New Line may now proceed with its proposed films of ‘The Hobbit.’"
Warner Bros.’ President & Chief Operating Officer Alan Horn said: "We deeply value the contributions of the Tolkien novels to the success of our films and are pleased to have put this litigation behind us. We all look forward to a mutually productive and beneficial relationship in the future." "services for providing food and drink; temporary accommodation, services for providing food and drink; temporary accommodations; bar services; cafés; cafeterias; tavern services; tea rooms; wine bars; tourist inns; resort hotels; retirement homes; pubs; hotels; motels; providing campground facilities; restaurants; rental of tents; rental of meeting rooms; serving food and drinks; providing facilities for concerts, convention fairs and exhibitions; boarding for animals; catering of food and drink; brew-pub services; child care; providing reviews of restaurants". "Beers; mineral and aerated waters and other non-alcoholic drinks; fruit drinks and fruit juices; syrups and other preparations for making beverages; aerated fruit juices, aerated water, ale, aloe vera drinks, beer, colas (soft drink), drinking water, flavored waters, fruit drinks, fruit flavored soft drinks, fruit juice concentrates, fruit juices, fruit-flavored drinks, isotonic drinks, lemonade, malt liquor (beer or ale); mineral water, non-alcoholic malt beverage, non-alcoholic beer, non-alcoholic cocktail mixes, non-alcoholic fruit extracts used in the preparation of beverages, non-alcoholized wines, quinine water, seltzer water, smoothies (beverages), soft drinks in carbonated, low calories and/or non-carbonated form; soft drinks flavored with tea, sports drinks, spring water, stout, sweet cider, tomato juice (beverage), vegetable juice (beverage)". This was filed on 23 December 2003, published on 26 September 2005 and registered on 8 June 2005, but apparently if they haven’t actually used the Trade Mark, then an application can be made for revocation based on five years’ non-use. Maybe someone should make a film about little folk threatened by Big Corporation. ..coming to a cinema near you.